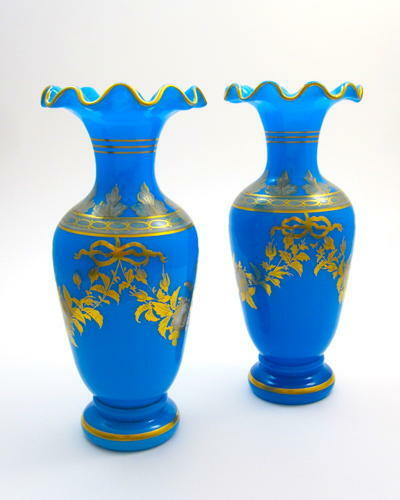 A Pair of High Quality Baccarat Blue Opaline Glass Baluster-Shaped Vases Decorated with Gold Enamelled Flowers and Bows. The Base and Undulating Collar Underlined with Gilded Stripes. Fine Quality Baccarat Glass Circa 1840-60.